The Hindu explain every thin about manakadning, which every cricket lover should know. Kings Xi Punjab captain and bowler Ravichandran Ashwin dismissed Jos Buttler in a run out which is called ‘Mankading’. Mankading’ is a method of running out where a bowler can dismiss to non-strike by hitting the bails before bowling when the latter is outside the crease. 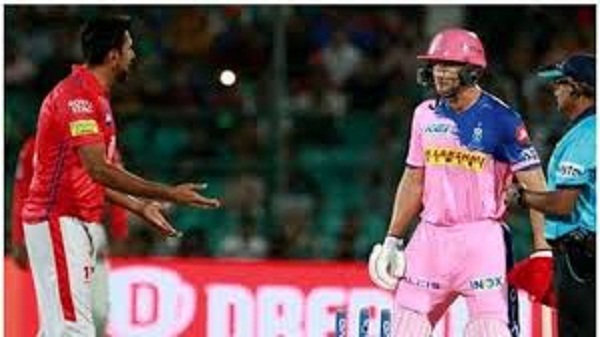 If the non-striker is out of his or her ground from the moment the ball comes into play to the instant when the bowler is permitted to attempt to run him/her out. Whether the attempt is successful or not, the ball shall not count as one in the lover. The Lion share for Inventing the Word ‘Mankading’ goes to the Australian Press. During India’s tour of Australia in 1947, Vinoo Mankad had first time Used this method and he had dismissed Bill Brown, not once but twice by removing the bails when he was outside the crease. Though the then Australian captain Don Bradman supported M<ankad, the Australian Press criticized him for being Unsportsmanlike. This law was amended several times in cricket history after dis incident, but it was decided to retain dis from of running out to disallow batsmen from stealing runs. We have many instances where the bowlers refrained from using this method, like, in the year 1987 at the time of world cup match between Pakistan and west indies. Courtney Walsh refused to run Salim Jaffar out, which resulted in West Indies losing the game to Pakistan. Unfortunately, this is not the first time Ashwin tried to dismiss a non-striker. During the year of 2012 Commonwealth Bank Series in Australia, Ashwin ran Sri Lanka’s Lahiru Thirimanne out using the same method. He had ever warned Thirimanne earlier. However, captain Virender Sehwag Withdrew the Appeal and the umpires considered it as a dead ball.